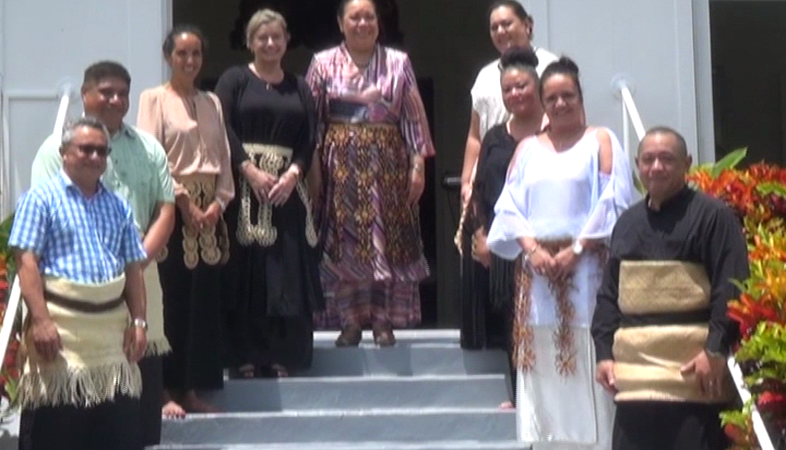 Her Majesty Queen Nanasipau’u yesterday met with members of the National Expo Planning Committe, at Consular House marking the beginning of Tongas preparation to participate in Dubai Expo 2020. The committee is made up of entrepreneurs, business leaders and youth from different sectors and has been selected by HM Queen Nansipau’u herself to focus on driving Tonga’s representation and participation in the ‘Opportunities Sector’ at the expo. In her opening address, Her Majesty said the National Expo Committee has a blank page to construct the Kingdom’s story to the World at EXPO 2020, and also highlighted the need for youth and the grassroots to be included, saying they would not normally get the exposure they so desperately need at a World EXPO of this magnitude. Tongas ambassador designate to the United Arab Emirates – ‘Akauola, says this Expo will be a good opportunity to promote Tongan businesses and products. The Committee Chief Executive Officer, Mrs. Sue ‘Akau’ola together with private sector representatives from Agriculture, Fisheries, Tonga Chamber of Commerce, Visual Arts, Youth, Culture, Tourism and Media will formulate and implement a plan for Tonga by November 2019. His Majesty King Tupou VI has chosen the theme ‘Opportunity’ for Tonga’s participation at Expo2020. Opportunity for investment in infrastructure, new export markets, Tourism, Youth, Education and our future. For the first time ever, Tonga will have its very own three storied pavilion to showcase the Kingdom to the world. Over 25 million people will visit Expo over the six months it operates from October 2020 to April 2021.